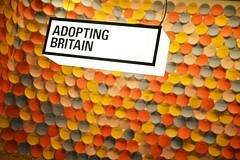 Adopting Britain: 70 Years of Migration, in partnership with Counterpoints Arts, is part of the Southbank Centre’s Changing Britain Festival. 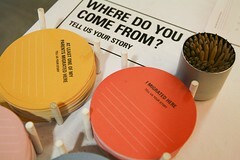 Inspired by Tales of a New Jerusalem, a series of books by historian David Kynaston, this festival looks at British society, culture and politics of the past 70 years. 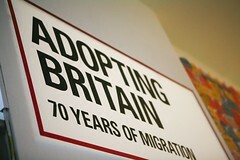 In 1951 a total of 50 per cent of the construction team responsible for building Royal Festival Hall were reportedly from migrant backgrounds. 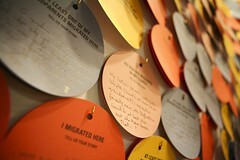 Together with our exhibition partners, the Southbank Centre, we continue to celebrate the positive contribution that refugees and migrants have made to Britain’s artistic and cultural landscape. 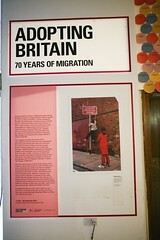 This exhibition explores the stories of many different communities that have made Britain their home, from those who chose to come here for work or for love, to those who have sought asylum, fleeing persecution or war in their own countries. 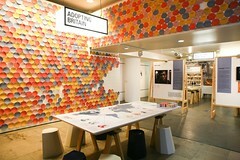 Adopting Britain celebrates the keepsakes, traditions and languages communities bring with them from their mother countries, as well as the ways in which individuals and families adapt to their new home. 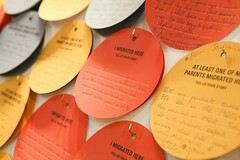 Throughout the exhibition can be found photographs from the Migration Museum Project’s 100 Images of Migration.